Zero Mass WaterCody Friesen, CEO of Zero Mass Water. The $US4,500 arrays launched in the United States in late 2017. Now they’re expanding to Australia thanks to a $US420,000 grant from the Australian Renewable Energy Agency. A startup called Zero Mass Water aims to make clean water easily accessible to more people around the world. In 2015, it launched its first product, Source – a solar panel array that harvests and filters water from vapour in the air. The company has installed the devices in nine countries, including Chile, Jordan, Peru, and the US, where it became available in late 2017. Now, Source is adding Australia to that list, according to Digital Trends. The Australian Renewable Energy Agency (ARENA) granted Zero Mass $US420,000 to install 150 Source hydropanels in several cities, including Sydney, Perth, and Adelaide. Each panel costs $US2,000 (plus a $US500 installation fee) and generates an average of 2 to 5 litres of water daily, depending on levels of humidity and sunlight. 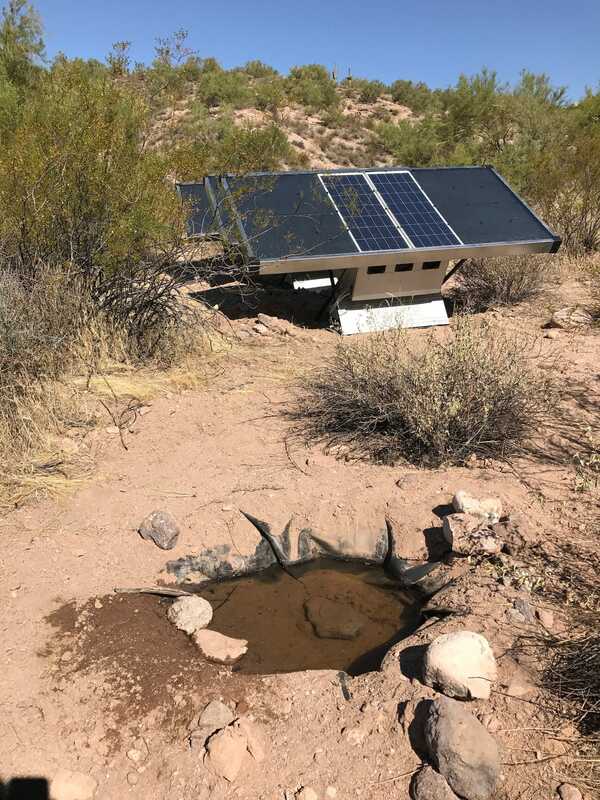 Source can work anywhere, and many arrays are deployed in deserts where water is scarce, CEO Cody Friesen, a material scientist and MIT alum, previously told Business Insider. The panels use sunlight to produce heat, which allows them to collect water vapour from the air. Friesen wouldn’t disclose the specific materials used in the panels, but said they have an ideal binding energy for humidity. 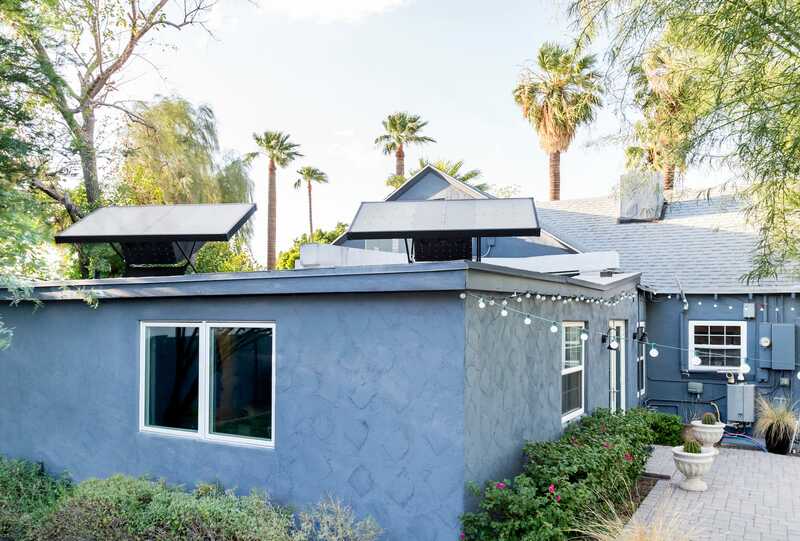 Zero Mass WaterSource panels on a home in Scottsdale, Arizona. The harvested vapour is sterilized and turned into a liquid. The device adds minerals to increase the water’s pH levels (to make it taste more like bottled water), and stores the water underneath the panels in a reservoir that can hold 30 litres. Lastly, the water travels from the reservoir through a pipe to a faucet. The arrays are customised based on the customer’s needs, Friesen said. A typical Source for a home has two panels, while one designed for a school in Mexico City with 50 students has 10 panels. If a two-panel array harvested 5 litres of water daily, that would be enough for an American family of three (if everyone followed the US Department of Health and Human Services’ consumption recommendation). To make sure everything is working properly, Zero Mass Water tracks the Sources’ outputs using sensors installed in the arrays. The team is studying data points like pH levels, temperature, and humidity to maximise the amount of water each array produces and to improve future iterations of Source. Friesen said the company’s ideal customer is everyone. The company has installed the devices everywhere from multimillion-dollar mansions in California to an orphanage in Lebanon. Duke Energy has also deployed panels in Ecuador, and Zero Mass received a USAID grant to install panels in refugee camps in Jordan and Lebanon in 2015. In an Arizona desert, the company recently put a system that pumps water at night for wild animals. Zero Mass WaterA Source array for wildlife in an Arizona desert. When you compare Source’s price to the cost of buying bottled water, the former is more affordable and sustainable over time. On the other hand, boiling poor-quality water to sterilize it is by far the cheapest option. For those in low-income areas, Sources are pricey and would likely need to be bankrolled by grants or humanitarian nonprofits.